1) Before posting an advert you will need a posting history of at least 25 previous posts throughout the Forum over a period of at least one month. Most importantly, you must be a contributing member of good standing in the forum community. In borderline cases, Moderators will review your posting history and will remove your advert if they deem necessary. 'Serial posting' in an attempt to obtain 25 posts in a short period of time is not allowed. 6) Do not link your post to any on-line auction (e.g. Ebay) or to any other media where you may have additionally placed your advert. 7) No comments please and if you need to compliment, ask/answer questions or negotiate then do so by private mail. Near mint condition Sterling 4 HS. Comes with factory case. 950.00 shipped to the lower 48 states only. Cashiers check,Western Union,or cash if local to Metro Atlanta. No Paypal,no trades. Stingray 4/5 hardshell plastic case, pretty much new. $50. local sale (so cal) would be preferred, but we can discuss shipping. Up for sale is my 2002 Ernie Ball Musicman Sterling 4H. I had this stellar bass converted to fretless by renowned Maryland/DC/Virginia Luthier Brubaker Guitars. I had the fingerboard coated in super slick polyester finish. The fretboard feels so incredibly smooth...almost like your playing on glass. And yes...the Mwahhhh effect is incredible. 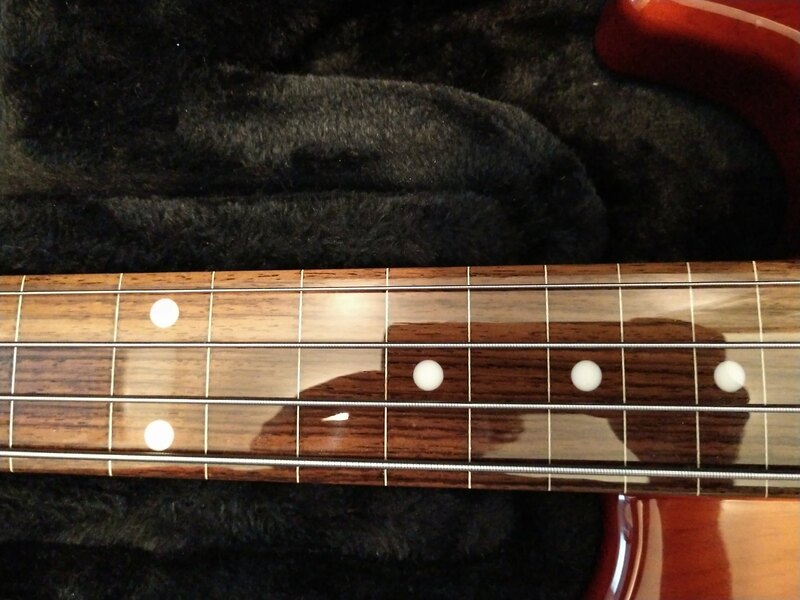 I'm only selling this beauty to start building up my "Joe Dart Signature Bass Fund" :-) . I truly hope it ends up in the hands of someone who will truly love it as I do. I'm asking $1300 shipped. 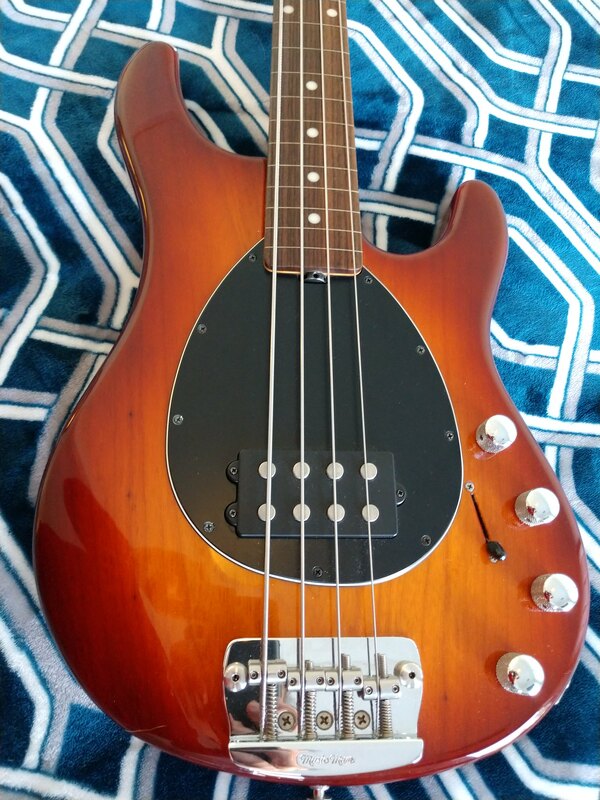 I'm looking to trade my Sterling HS bass for a Music Man guitar, since I'm more of a guitarist. Preferably something without a trem. 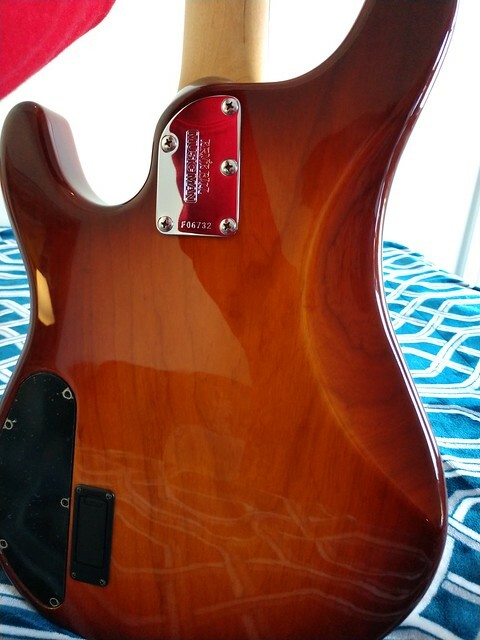 The bass has some nicks that I've shown in the pictures. The case exterior is in rough shape but the internal is clean and solid. Last edited by five7; 04-17-2019 at 09:04 PM.